Released on Friday 30th October 2015. Stories In Trance give to you our 126th release by Konstantin Svilev with the three track single Flight. 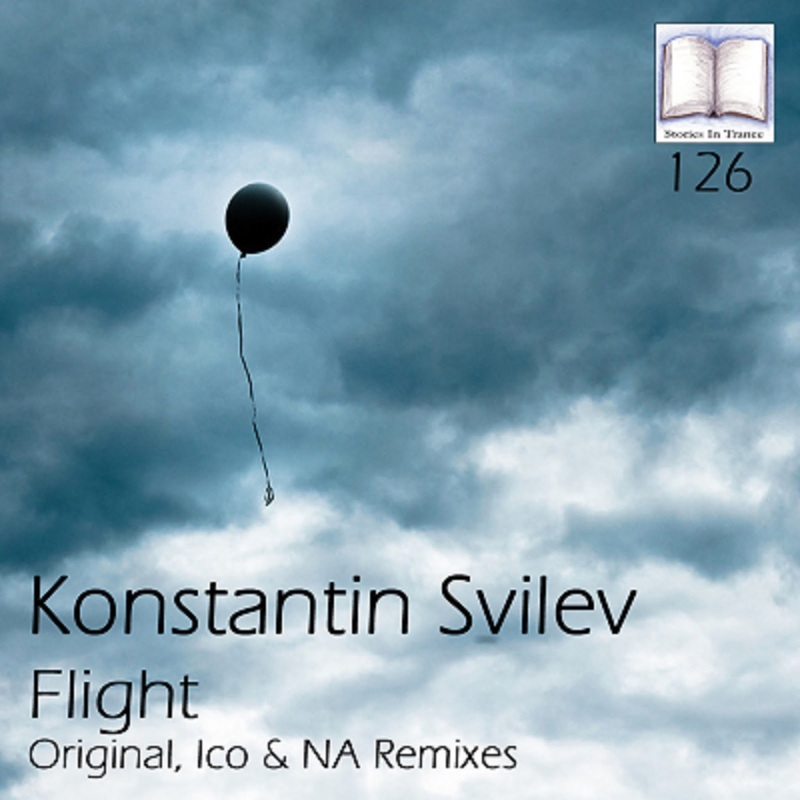 Firstly we have the Original mix from Russia's Konstantin Svilev. Konstantin made his debut with SIT at the start of 2013 and since then has played a big part in the legacy of Stories In Trance with several fine tracks and remixes, most recently with his superb remix of Triumvirate's Still Glow The Embers (SIT 116). He is at his very best again with this energetic track, delivering an uplifting stormer. A short and concise piece, he uses the great lead melody in conjunction with creative layering, clever musical progression and as always he adds his now trademark production flair to the piece and does so in fine style. Secondly we have the Ico remix. Ico (John Erikkson) has made four fantastic appearances so far on SIT, most recently his seminal remix of Craig London's Falling Down (SIT 95), and after a short break from producing he is once again on top form with this sensational remix. Ico delivers an energetic, uplifting and emotional trancer with which he sublimely weaves all the best bits from the original version into an all round powerhouse of a track whilst subtly adding a delicate feel with the captivating vocals. An absolute must have for all trance enthusiasts and DJ's around the globe. Thirdly is the NA remix. Suthat Naruenartwanich, under his NA moniker, presents his first remix on SIT following on from two excellent originals Interstellar (SIT 122) and Dawn (SIT 124). But this time out he shows his versatility with a fantastic remix, using the definitive lead melody alongside polished atmospheric mids, all rounded off perfectly by the driving percussion. The end result is fantastic re-interpretation from a very talented new producer. We must also give a nod of gratitude to our in house mastering guru Dan Garton, whose immense sound engineering and mastering talents are on display on all three tracks on this release. Stories In Trance Chapter 24 Is Now Online! 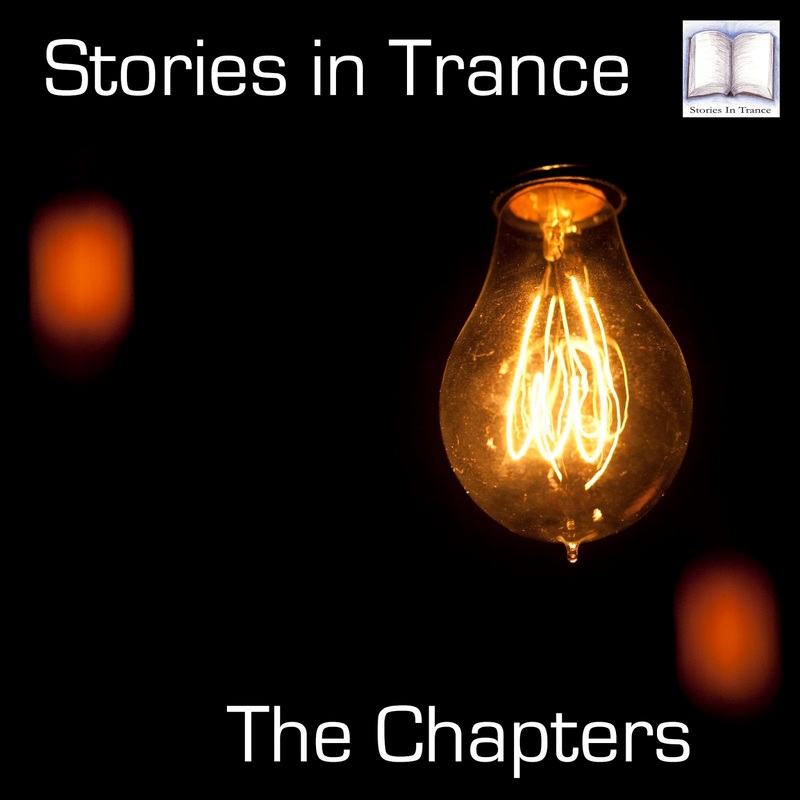 Stories In Trance - The Chapters returns with its twenty fourth episode, so if you want 70 minutes of pure no-nonsense trance then look no further! Including modern epics from Sean Tyas and Eco, hot new productions by Para X and Calderone Inc, two of the best from the recent SIT catalogue in the shape of Triumvirate and Craig London and a choice selection of legendary trance classics from System F, Dutch Force, Signum and Tokyo. Released on Friday 23rd October 2015. 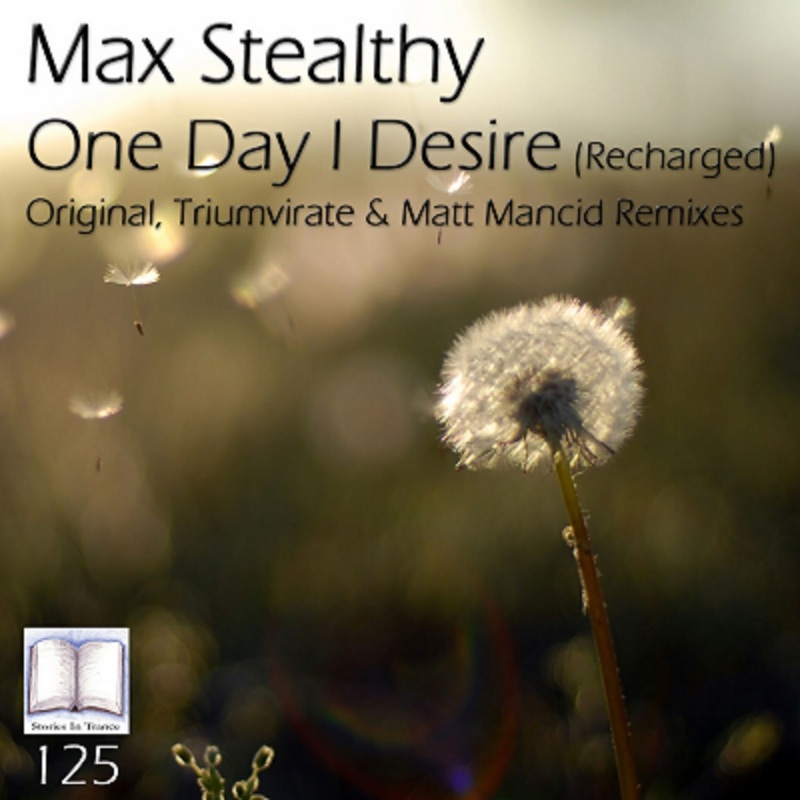 Stories In Trance present SIT 125 by Max Stealthy with the three track single One Day I Desire (Recharged). 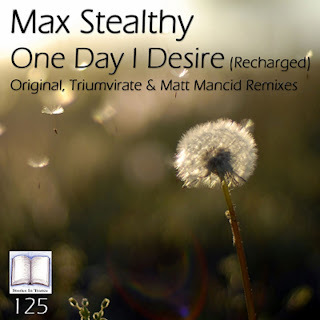 Originally featuring on Max Stealthy's debut release on SIT, the Charge EP (SIT 14) in Autumn 2011, One Day I Desire gets its own release alongside two superb remixes. First up on the release is the original version. As with all of Max Stealthy's productions on SIT the composition is second to none, the delicate melody and subtle usage of layering all make up a fine original creation. This track was the perfect way to round off the Charge EP and once again here it stands up to the mark over four years later on its own release. The reinterpretations begin with Triumvirate's 'Miles Away' remix. Fresh from their latest original release Still Glow The Embers (SIT 116) Triumvirate are back on remix duties with this sensational track. Using the remix pack in the best possible way, they re-imagine the original version with phenomenal results. Restructuring the lead melody, the trance bass and the melodic layering, every element has been expertly re-interpreted with the upmost care and attention. This track has an energetic feel right from the start; powerful, aggressive and emotional, every single second of this piece of music is vital to the overall dynamic. Rich, deep low end power provides the underpinnings which is complimented by a sweeping saw lead melody, fantastic piano layering, and ever evolving percussion which along with the grand, emotive vocals provides the garnish. This remix comes in at under 7 minutes yet has two unique and different euphoric climaxes with individual trance bass movements and bass drops. This very intelligent track is for every true lover of proper trance music. The second remix comes from Germany's Matt Mancid. On the back of his stellar remix of Triumvirate's Still Glow The Embers (SIT 116) Matt is on remix duties again with another superb offering. He takes the track down a more uplifting path than we are used to with his productions, using all of the original's fantastic components and musical elements to brilliant effect. Then, once our in-house mastering master Dan Garton worked his magic, the finished article shines as a great alternative to the original and once again adds to Matt's ever growing reputation as a top class producer. Released on Monday 12th October 2015. 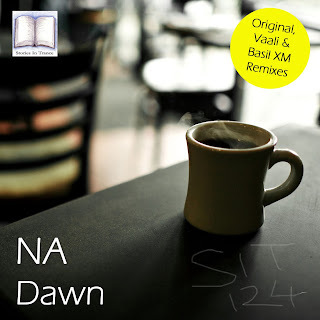 This is Stories In Trance, and for your listening pleasure we offer up SIT 124 by NA with the three track single Dawn, including Original, Vaali and Basil XM mixes. Up first is the original mix from Suthat Naruenartwanich under his NA moniker, presenting his second original production on SIT following on from his debut original Interstellar (SIT 122). Suthat is from a musical background, most notably from travelling around his native Thailand as a session musician as a bass player and he shows off his undoubted musical talent with this track. The definitive lead melody is perfectly complimented by the piano layering and polished atmospheric mids and lows, all rounded off by the superb mastering of our in house engineer Dan Garton . The end result is another stellar original creation from a very talented new producer. The first remix comes from Russian producer Vaali who has a vast collection of excellent tracks and remixes on SIT, most recently creating an imaginative rethink of Bluebear Project's Nemesis (SIT 118). Vaali once again shows his vast array of talent with this truly unique and creative version: using the original’s strengths to great effect, he perfectly blends a delicate feel with edgier techy sounding effects and deep, driving mids and lows. Another sensational production to add to Vaali's impressive discography. Rounding off the package comes the Basil XM remix. Fresh from his most recent appearance on SIT with his stunning remix of Airborne Angel's Perfect State (Revisited) (SIT 121), Basil is back with another fantastic remix. Returning to a more progressive style he uses the now instantly recognisable lead melody to great effect, along with deep mids, potent low-end force and crystal clear percussion. After a final polish from the masterful mastering guru Dan Garton the end result is a progressive trance masterpiece, fit to star in any set.